On today's episode of Loud & Clear, Brian Becker and John Kiriakou are joined by Leo Cuello, an attorney and the director of health policy for the National Health Law Program. On today's episode of Loud & Clear, Brian Becker and John Kiriakou are joined by Heidi Boghosian, the exec director of the A. J. Muste Memorial Institute and the former Exec Director of the National Lawyers Guild, and Anoa Changa, the director of political advocacy and a managing editor of Progressive Army, and host of the show The Way With Anoa. On today's episode of "Loud & Clear," Brian Becker and John Kiriakou are joined by Alex Gordon, a former president of the National Union of Rail, Maritime and Transport Workers. On today's episode of Loud & Clear, Brian Becker and John Kiriakou are joined by Jude Woodward, the author of the new book “The US vs China: Asia's new Cold War?” and Steve Keen, the author of “Debunking Economics” and the world’s first crowdfunded economist whose work is at patreon.com/ProfSteveKeen. Why is the US Government Hosting Ukrainian Neo-Nazis? 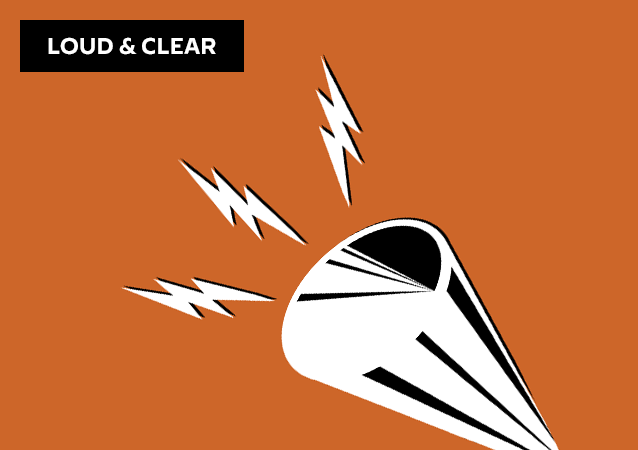 On today's episode of Loud & Clear, Brian Becker and John Kiriakou are joined by Eugene Puryear, the cohost of the Sputnik News's By Any Means Necessary, and Dr. John Ackerman, prof. of Constitutional Law at the Ntl Autonomous Univ. of Mexico(UNAM), researcher at Legal Research Institute of UNAM, and editorial director of the Mexican Law Review. On today's episode of Loud & Clear, Brian Becker and John Kiriakou are joined by Prof. Zachary Wolfe, a lawyer and activist who teaches at GW Univ., Chip Gibbons, policy and legislative counsel for Defending Rights & Dissent as well as a journalist, and Julie Hurwitz, a civil rights attorney and partner at the law firm Goodman & Hurwitz, PC. On today's episode of Loud & Clear, Brian Becker and John Kiriakou are joined by Nevzat Evrim Önal, a journalist with the Turkish newspaper SoL, and Max Zirngast, an independent writer in Istanbul. Will Kids Now Be Jailed Indefinitely With Their Parents? On today's episode of Loud & Clear, Brian Becker and John Kiriakou are joined by Juan José Gutiérrez, the executive director of the Full Rights for Immigrants Coalition. On today's episode of Loud & Clear, Brian Becker and John Kiriakou are joined by Medea Benjamin, an anti-war and anti-torture activist and the co-founder of Code Pink, and Simone Chun, a fellow at the Korea Policy Institute and a member of the Korean Peace Network. Clinton Email Probe Report Released: Were Comey's Decisions All Politics? On today's episode of Loud & Clear, John Kiriakou and Walter Smolarek are joined by Coleen Rowley, a former FBI special agent who was named Time Magazine person of the year along with two other whistleblowers, and Joe Lauria, the editor-in-chief of Consortium News, founded by the late Robert Parry and the author of "How I Lost, By Hillary Clinton."